My favorite things to make are those that have very few ingredients, but each ingredient is so exceptional in its taste that you can pick out each flavor in the dish. This dish is one of those masterpieces that becomes a staple in your summer cooking. 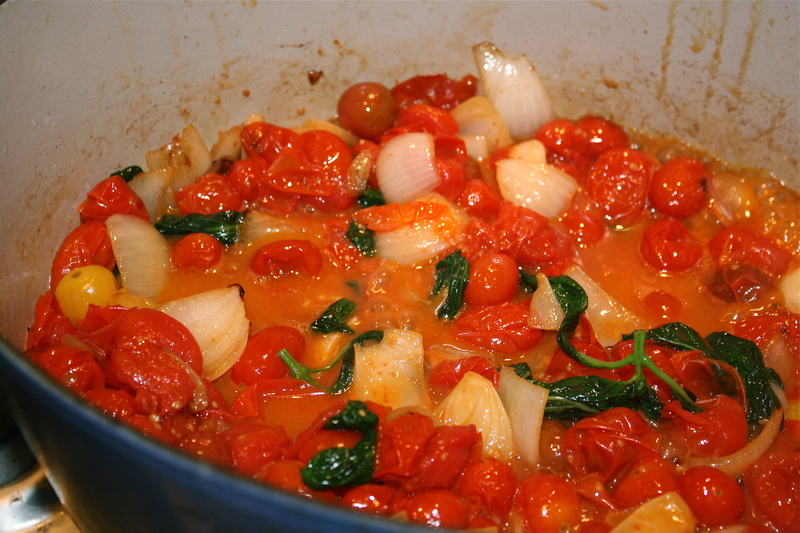 Incredibly easy and yet richly flavored, this dish is made in just one pot. It’s also pretty foolproof as evidenced by the fact that I got distracted halfway through with my girls who decided to snag the bottle of cleaner I had just used to wipe up some meat drippings so they could “clean” each other off. Somehow, the rice still tasted amazing even though I let it cook too long and didn’t stir it. 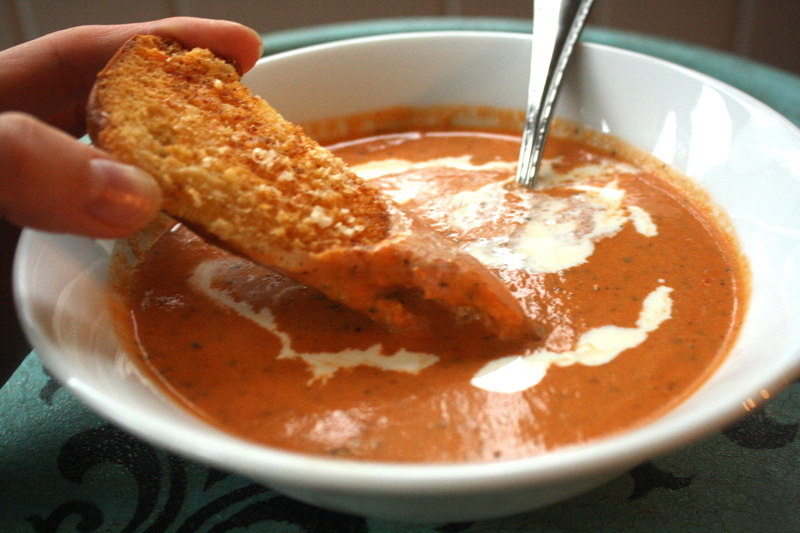 It is a balance of creaminess from a rich tomato broth and brightness from fresh basil. 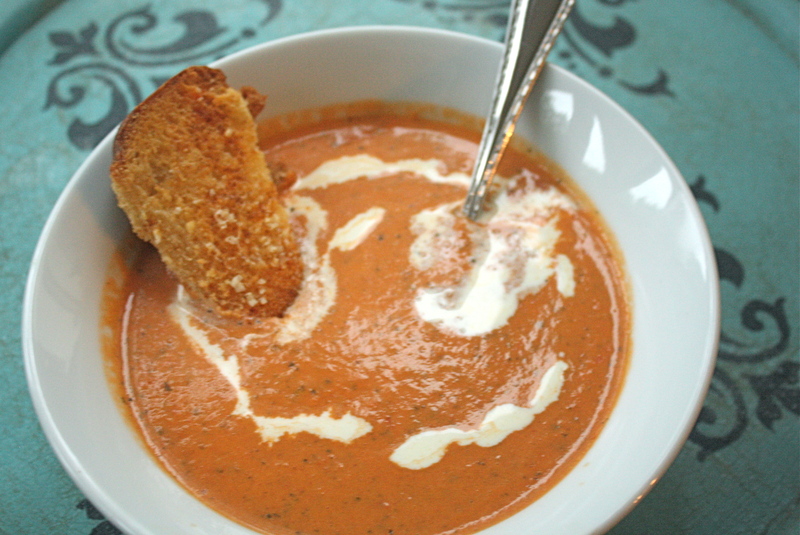 A perfect summer side dish. 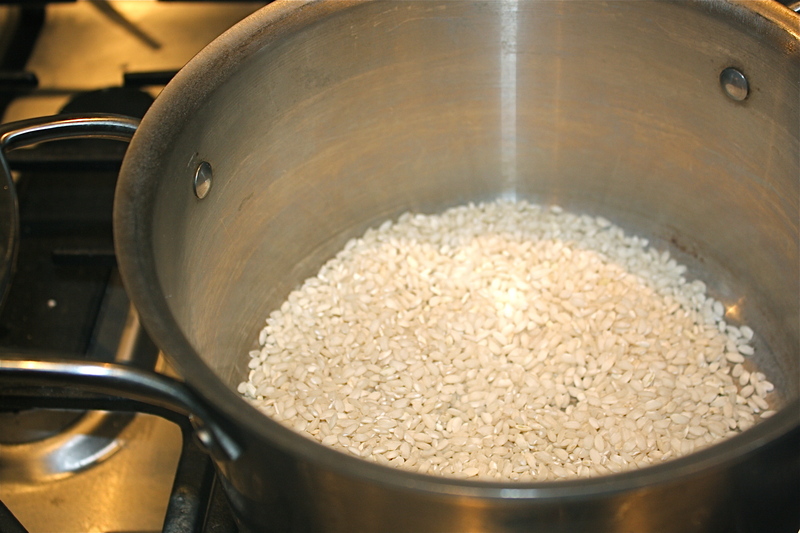 Simply start with one cup of rice and two cups of water in a medium size pot. 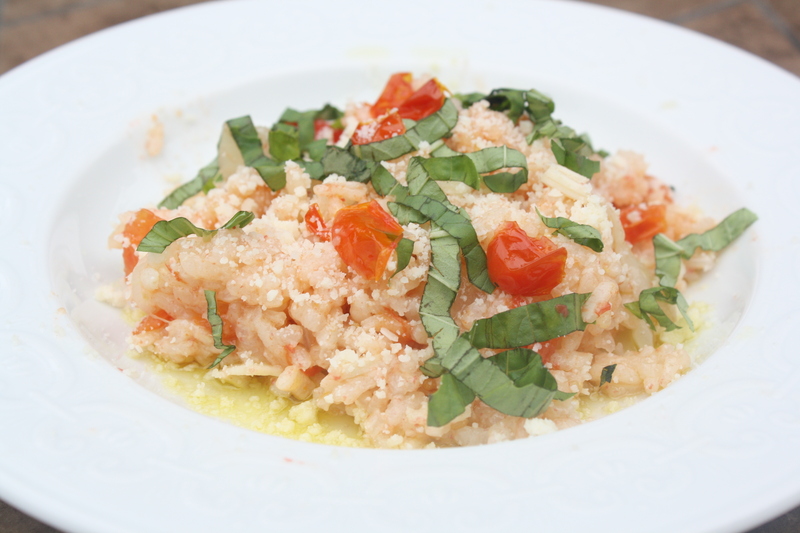 I chose Arborio rice (I know, it’s supposed to be used in risotto, but I think it works with this preparation too). You could also use long grain white rice or even brown rice. 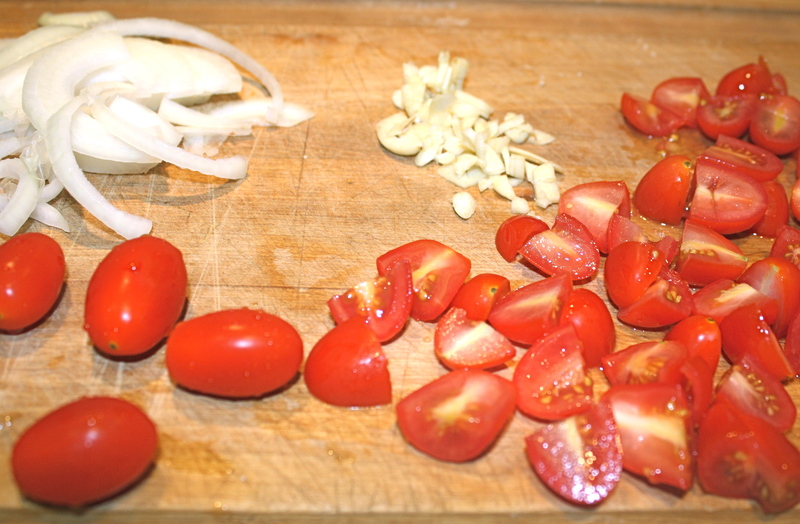 Add some thinly sliced onion, chopped garlic, quartered tomatoes and olive oil. Allow the mixture to come to a boil and then reduce to a simmer. The vegetables will create a broth that is absorbed into the rice. 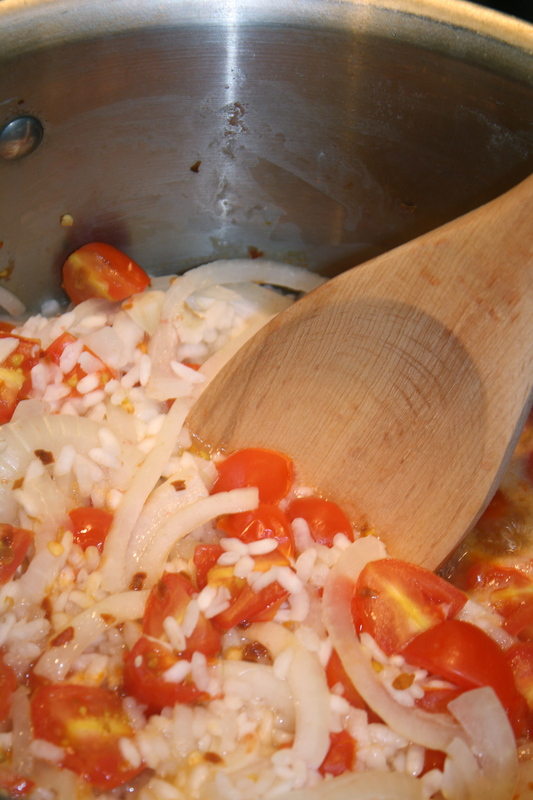 Stir every so often and allow to simmer for about 30 minutes or until all the liquid is absorbed. 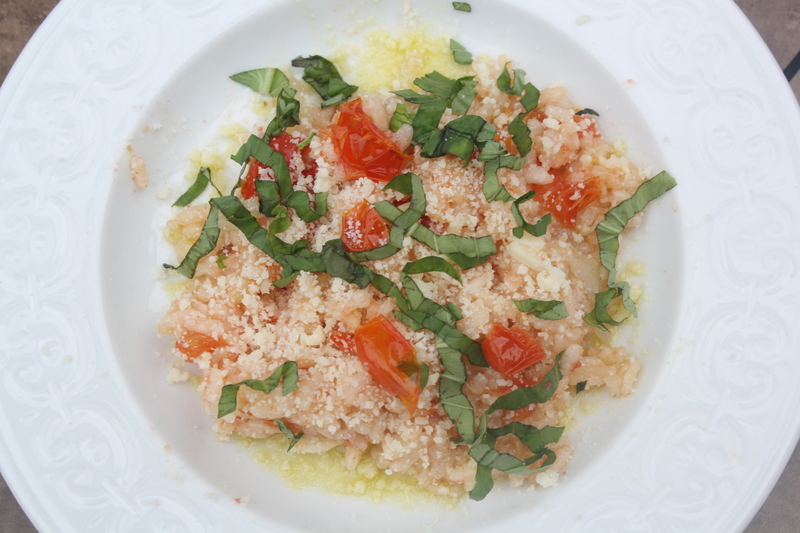 Serve it in bowls drizzled with olive oil, and topped with shredded basil and parmesan. Eat and repeat because it’s too hard to resist. 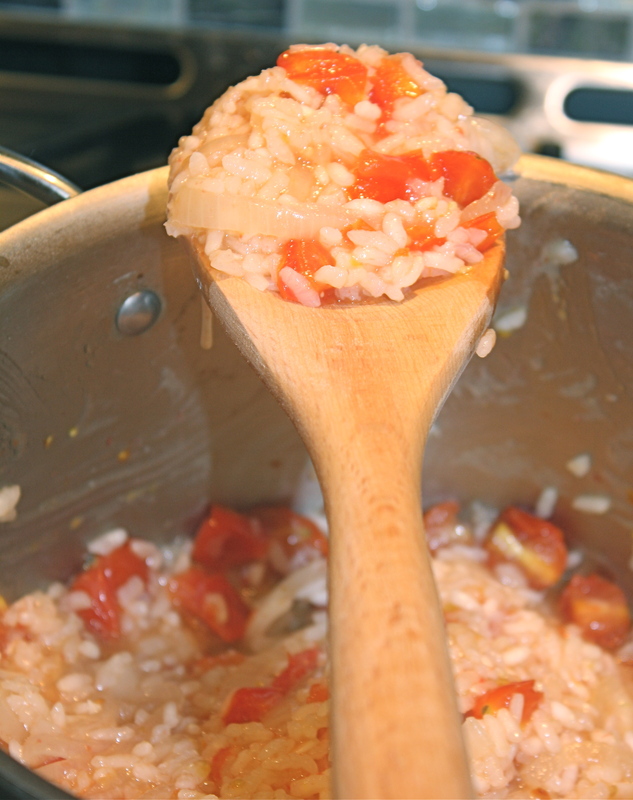 Add the rice, water, onion, garlic, tomatoes and 1 tbsp olive oil to a medium size pot. 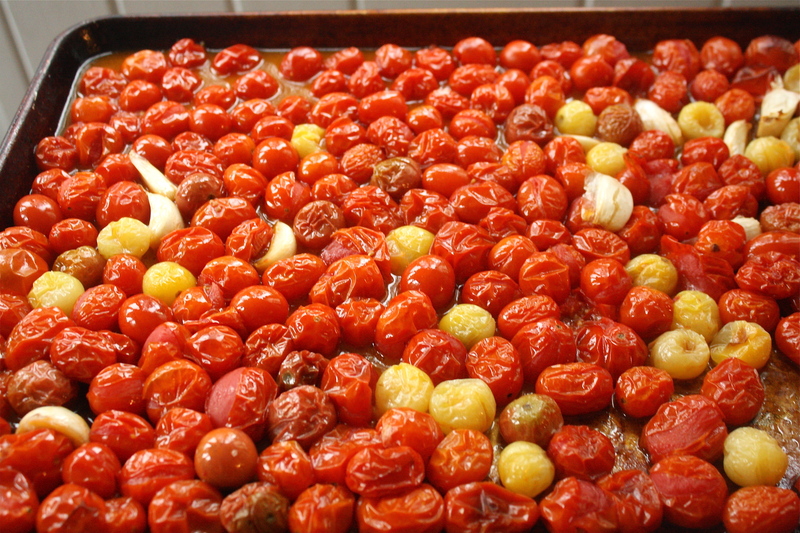 Bring it to a boil and then reduce to a simmer. Simmer for 30 minutes (depending on the grain you have chosen), stirring halfway through. Once the liquid is absorbed and the rice is tender, divide into 4 bowls and top each bowl with 1 tsp olive oil, 1 tbsp parmesan, and 1 tbsp shredded basil.